Cricketer Sreesanth who had been in jail with charges of spot fixing scandal is on the way making a comeback into his life. While his marriage is expected to happen by the end of this year, the youngster is gearing up to make his acting debut. Titled 'Big Picture', the movie directed by P Balachandra Kumar will have Sreesanth in lead. To be made in malayalam and tamil, the makers are planning to have a hindi version too. The shooting of this big budget movie will be carried out in England, Dubai, Chennai and Kochi. A leading actor and actress from Bollywood would be a part of the project while Prabhu Deva and Prakash Raj will also be donning a prominent role in the movie. If things go fine for the cricketer with court's positive verdict on returning Sreesanth's passport, this bilingual fun filled entertainer packed with romance, action and songs would start rolling from September. From the words of the director, a team was much dedication working behind the screen for the last 6 months to complete the script works of the movie. Even the cricketer himself has expressed his interest and excitement over the new venture. Even though the cricketer was casted in a couple of projects, spot fixing scandal made the film makers to take back their words. Director Sreekumar who keeps a good friendship with Sreesanth says that the cricketer was bowled out by the script and wished to be a part of the project. 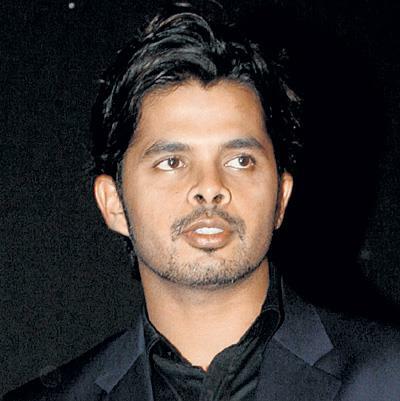 The director adds that, if Sreesanth was not put under bars, the shooting would have begun in July according to plans. Now the film maker is hoping to set the stage for August end or September first week as the visa processing would take one more month. As things go fine, physically and mentally matured Sreesanth would fly to London to act in the romantic movie which would be another experience in his life. This will be a great come back for him and could even prove that he is not only good in field but also in acting. It is a great chance to wipe out all his bad remarks and rise up possitively. Lets look out for this 'Big Picture' to be a big hit.